Important matches are arriving thick and fast for Galway United, who travel to Belfield tomorrow for a tough SSE Airtricity League first division encounter against table-toppers UCD (7.45pm ). 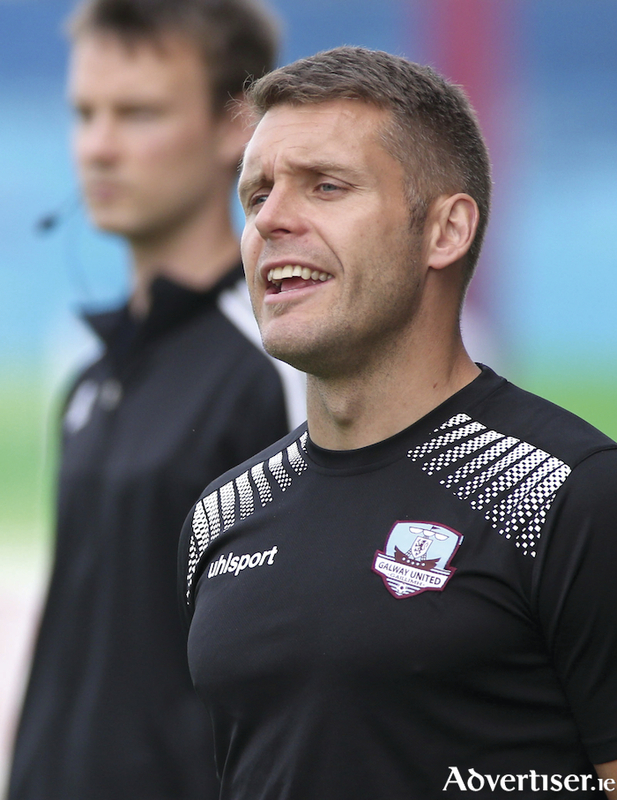 Buoyed by successive wins over Athlone Town and Cobh Ramblers under new manager Alan Murphy, United are beginning to hit form at a vital stage of the campaign, but a demanding match looms at the campus venue. United, who are targeting a top four finish to earn a promotion play-off place, jumped into fifth in the standings following a gritty 2-1 triumph over Cobh at St Colman’s Park. Conor Barry, now established as a key figure for United, and Eoin McCormack netted the visitor's goals before Cobh launched a second half comeback mission. Murphy was delighted United prevailed in Cobh, acknowledging it was a "tough win". “Coming down to Cobh is never easy. We were 2-0 up, it was a great start. I thought we pressed the game, we forced the game as I always ask the lads, and I thought we were the better side. Murphy was satisfied with United's start with Barry and McCormack striking goals for the Tribesmen. “I thought we were in complete control, we played well, we forced the issue, we played in their half,” Murphy says. “A smart side went out on the pitch. It was a difficult second half, yes we would like to have played more, but we were under serious pressure. We ground it out, and that is what needed to be done. It is three more points, it doesn't matter who it was against. We look to UCD now and another performance." Murphy expects tomorrow's contest against UCD to be completely different. United drew with the students in Dublin before beating them at Eamonn Deacy Park earlier in the season. “It is a massive game. They had a great win on Friday, and they are probably thinking they are back on the crest of a wave,” Murphy says about UCD’s triumph over Wexford FC at Ferrycarrig Park. “Probably our best result this season was against them, but it will be all about the performance and setting up in a way to beat UCD. • Galway United Friends Co-Op is running a bus to Friday's match against UCD at Belfield, leaving Prospect Hill at 4pm. To book a seat contact Dominick Walsh (087 ) 9163438 or Ronan Coleman (087 ) 6972823.